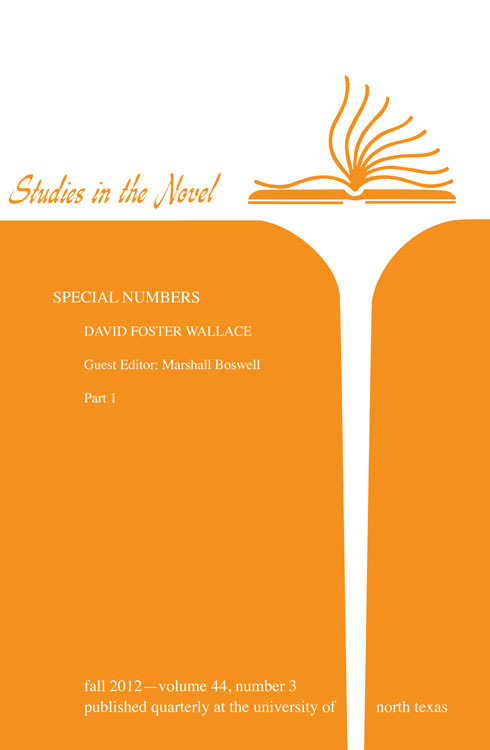 I just received in the mail today the first volume of the two-part special issue Studies of the Novel is devoting to the novels of David Foster Wallace, edited by Marshall Boswell, in which my essay, “‘Then Out of the Rubble’: The Apocalypse in David Foster Wallace’s Early Fiction,” appears. Check it out (esp. if you have Project Muse access). There are some excellent other essays from Allard den Dulk, David Letzler, Adam Kelly, and Philip Sayers as well.